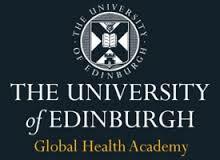 The University's Global Health Academy has been awarded 10 fully funded studentships across six online Masters programmes within the domain of Global Health. Bangladesh, Botswana, Cameroon, Ghana, India, Kenya, Lesotho, Malawi, Malaysia, Maldives, Mauritius, Mozambique, Namibia, Nigeria, Pakistan, Rwanda, Seychelles, Sierra Leone, Solomon Islands, South Africa, Sri Lanka, Swaziland, Tanzania, Uganda and Zambia. Applicants who are eligible for these scholarships should apply for one of the six eligible programmes in the first instance and notify the programme director of their intention to apply for the scholarship. The programme director will then give you further information on how to apply.